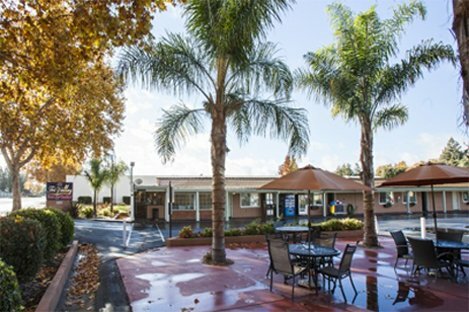 Located in the heart of Northern California's charming Tri Valley region, just 45 minutes from San Francisco, Tri Valley Inn and Suites provides the most incredible room amenities of any affordable hotel in Pleasanton. Stay where budget-conscious business travelers and backpacking adventurers alike find comfort and value. Our Pleasanton hotel caters to golf enthusiasts, wine connoisseurs, and families coming to California who want to enjoy a wonderfully rich and relaxing experience without spending a fortune. Conveniently travel throughout the Bay Area via the nearby Bay Area Rapid Transit Station. 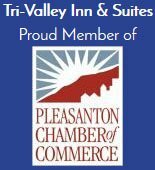 Whether you've come to the Tri Valley Inn and Suites for an extended stay or a short trip, you'll find that our Pleasanton hotel is a wonderfully pleasant place to be. Nestled amid the scenic Northern California foothills, Pleasanton is a little slice of the way California used to be…small-town friendly, quaint, laid back and relaxed. Described by many guests as "retro cool" with "an old world charm," Tri Valley Inn & Suites offers comfortable, clean guest rooms and suites with the features and amenities you'd expect from higher-rate hotels, but at a fraction of the price. All of our guestrooms are ADA Defined service-animal friendly. Enjoy a dip in our outdoor swimming pool, complimentary continental breakfast, free high-speed wireless internet access, on-site restaurant that serves lunch and dinner, newspaper, and more. Tri Valley Inn & Suites is right on the money when it comes to price and location. We're proud to be one of the Tri Valley area's best-kept secrets. Our lovely little oasis allows guests to get where they want to be in minutes. In fact, fine dining, wine tasting and shopping are all within walking distance. Whether your plans include exploring the local winery scene, tackling area golf courses or simply getting down to business, you'll appreciate the ultra-convenient location of Tri Valley Inn and Suites. Studio Queen Standard room/Studio with 1 queen bed, free breakfast and parking, 1000 coil count bed by Serta. Cable TV with 8 HBO channels, 5 ESPN, and 70 other channels. Deluxe Suite Deluxe room with a bedroom, kitchen, living room, free breakfast and parking, 1000 coil count bed by Serta. Cable TV with 8 HBO channels, 5 ESPN, and 70 other channels. Deluxe 2 Queens Deluxe room with 2 queen beds, free breakfast and parking, 1000 coil count beds by Serta. Cable TV with 8 HBO channels, 5 ESPN, and 70 other channels. "The property was cozy and quaint. Felt like a little apartment (I had a Queen suite). People were so very nice and helpful always with a smile!! Professional staff, quiet neighborhood and just a walk away from what seems like a zillion food/shoppi..."
"Room was clean and nicely decorated. Close to shopping and restaurants. Staff was friendly and helpful with directions. And all this at a very reasonable rate." "Clean Rooms with affordable price made us stay at Tri Valley Suites. Hotel location was great and everything we required was available. Staff assistance was really appreciated. We would visit again. " 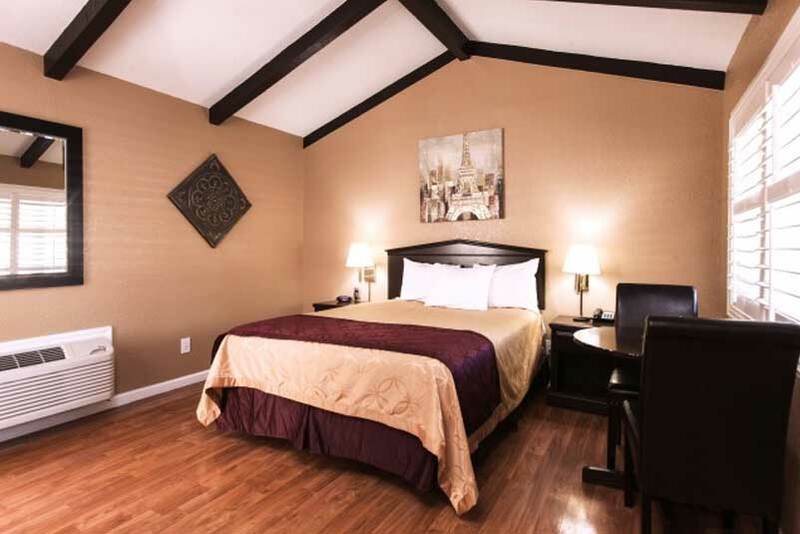 "Tri Valley Inn, Pleasanton is well located and close by to everything. Rooms were clean and stored with all required amenities. As it was quite around we had good sleep. Staff was very helpful and would definitely visit again. "